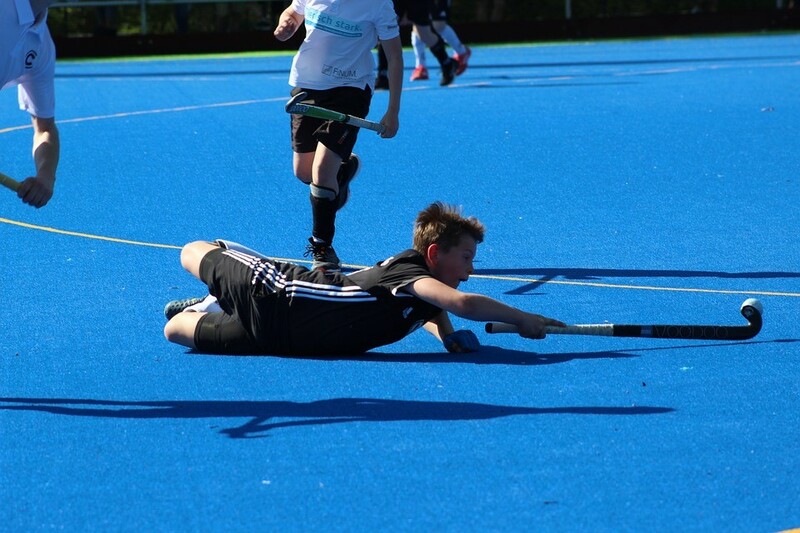 Hockey players can find themselves suffering from injuries on the pitch. Sometimes these injuries can be as a direct result of impact or falling during the game. When they come on fast, these types of traumatic injury should be dealt with immediately by a qualified first-aider. Collisions, direct blows and falls are common hockey injuries and all can be potentially serious, especially if they involve blows to the head. If unsure, and if the player seems to be suffering from any type of head trauma or concussion, it is always best to call an ambulance. For strains and sprains, which are also very common, it is best to apply the RICE method quickly – rest, ice, compression and elevation. The player should exit the game immediately as rapid and appropriate treatment can greatly speed up healing time –https://www.webmd.com/first-aid/rice-method-injuries. When scrapes and cuts occur, a first aid kit is often sufficient to clean the wound and dress it. A call can be made by the qualified first aider about whether the player is then in a position to resume their game. Muscle cramps commonly occur, especially at this time of year when it’s cold. Rapid hydration with extra salts and gentle massage can both be effective. The player may find it easiest to keep moving on the cramping leg in a slow gait, just to avoid it from seizing up. You can find hockey training drill videos that maximise a steady warm up at sportplan.net/drills/Hockey/Shooting-Goalscoring/Creating-scoring-chances-3-v-2-h5a39a.jsp or similar. DOMS – or delayed onset muscle soreness – is something that all fitness and sports participants experience after a tough game or workout. The answer is usually to get more rest and to eat well, but other approaches such as foam rolling and Epsom salts baths can be helpful too. A sharp coach will always look out for injuries that suggest overtraining. Injuries which occur frequently or which seem to be combined with other signs of overtraining, such as fatigue, a lack of concentration on the game, poor focus and so forth, all suggest that rest is needed. In short, follow the steer of your trained first aider, have the right safety equipment, make sure players are well warmed up, hydrated and properly dressed and don’t be afraid to call the ambulance service if anything more serious does occur!